As I said in my last post, I was not at St. John’s this week. As it was the Week of Prayer for Christian Unity I had been invited to the United Reformed Church in Caterham. Here is my sermon on the the theme of Unity. Anyone remember parsing? During my first year of secondary school I had a little blue notebook. Our English teacher would give us some sentences for homework, and we had to write them in the book and then break down the sentences into clauses, and give the part of speech for each word. That’s parsing. We hated it. We also left school able to write good English. It’s also why I know that the phrase ‘The Week of Prayer for Christian Unity’ is not a proper sentence, because it doesn’t have a verb. What it does have is four nouns, though technically one of them is acting as an adjective. Now, at the heart of this Week of Prayer is the underlying though perhaps not always very well articulated conviction of many Christians – though not all – that Jesus really meant it when he prayed that his followers might be one. Jesus, of course, knew that God really means it when he says through the prophet Zephaniah that he intends to gather us all and bring us home. In the context of our first reading he is speaking, of course, to his people the Jews. As people who live in the light of his Son we now see this to refer to all his people. But if we really believe that, as Zephaniah said, ‘The Lord your God is in your midst,’ and if we truly yearn for that day when God fulfils his promise, ‘I will gather you and bring you home,’ then in this special week in the Church’s year it is as well to think about what we actually mean by the nouns ‘Prayer’ and ‘Christian’ and ‘Unity’. Week I’m going to leave to the end. To begin with – our first noun, Prayer. Although I had been brought up to go to church, my parents finally gave up the effort of dragging my sister and I out every Sunday morning by the time I was in my early teens. I actually became a Christian at the age of 20 while staying with a friend in Oxford, and after my conversion I went back to the Anglican church that we had previously belonged to. And I have always been thankful that it was a church community that took prayer and the Bible seriously. Every Wednesday night there was a parish fellowship meeting, at which we would spend some time on Bible study followed by corporate prayer. And it was a community that believed that God spoke through the Bible, a community that believed you prayed because you really wanted what you prayed for, and that God would actually hear and answer the prayer of faith – even if the answer might not be what you expected or hoped for. And it was a community that believed that sometimes you had to be part of the answer to your prayer, that recognised that God might want to change you so that his purposes could be achieved. I’ll come back to that last point later. I didn’t realise it then but that kind of Bible-centred, praying, intercessory community wasn’t the norm in churches. It was only went I started my theological training as an evangelist at the Church Army College, then in Blackheath, that I realised that there were churches that didn’t take the Bible seriously, that didn’t take prayer seriously. And that, while they might go through the motions of praying together the idea that as a result God might act in people’s lives was somehow alien. And I suspect that the Church of England is particularly bad at this – it can be rather comforting if things stay the same as they have always been – as it was in the beginning, is now and ever shall be. When we pray, when we truly pray in the Spirit of God, we are looking to God to for change – change in our world, change in our churches, change in ourselves. When we pray, if we mean anything by prayer, then we must expect God to respond. We don’t pray secretly hoping that he won’t notice and that nothing will happen. In this Week of Prayer for Christian Unity we need to take our Prayer for Unity seriously, mean what we pray, and look to God to work within us to bring what we pray for about. Our second noun is Christian. Now, you might think that we’re okay with this one. Surely we all know what a Christian is. And yet the inability of so many Christians to accept that others are also Christians must be one of the biggest barriers to unity that we have. Until the time of the emperor Constantine there was one Church. It wasn’t one Church in the sense that there was a single bureaucratic structure, but because individual churches believed themselves to be bound together by the Holy Spirit by virtue of their common faith in Jesus Christ. When Constantine legalised Christianity at the beginning of the 4th century the structures became more formal and the Church more united. It wasn’t until the Great Schism of 1054 that the church split into two. And it was then that Christians started to believe that others who claimed to be Christians were not Christian at all. Even then, though, there were effectively only two what we now call denominations – Catholic and Orthodox. Then, of course, came the Reformation. And with it the understanding of justification by faith. The great biblical truth that as long as you believe in Jesus Christ as your personal saviour, as long as you can say ‘Jesus is Lord’, you are saved – you are a Christian. No longer did the Church with a capital C decide whether you were in or out. As we heard in our second reading: If anyone acknowledges that Jesus is God’s Son, God dwells in him and he in God. What more is there to say? So what went wrong? Why are the Churches of the Reformation so fragmented and in so many cases so insular? Why do so many Christians, mainly those in the 30,000 or so minor Christian denominations and churches act as though others are heretics? Caterham is the first place I have ministered in over 30 years where not all churches are members of Churches Together. I have always found it particularly sad, distressing even, that one church in our community will not join Churches Together. Why? I was once told that it is because we aren’t Christians, because our doctrine is wrong, so they can have nothing to do with the rest of us. A friend of mine related to me some time ago how he had mentioned the Roman Catholic Church in a sermon, only to have someone from the congregation come up to him afterwards to say, ‘But Roman Catholics aren’t Christians.’ What’s that all about? We need to understand that when we pray for Christian unity we are praying for all Christians – all those who have put their faith in Jesus as their Lord – and not just those we get along with or agree with. 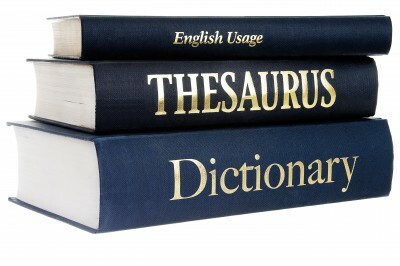 Which brings me to our third noun – unity. We can get a little uncomfortable when we touch on the concept of unity. It is not, of course, the same as uniformity. We all know that. This is not the Week of Prayer for Christian Uniformity. We have in our Churches different ways of worshipping, different core beliefs, different ways of engaging with the world around us. That’s all fine. But neither is this the Week of Prayer for Christians to Get on a Bit Better. Or even the Week of Prayer that Christians ministers might meet together for a sandwich lunch once in a while. If we take our ecumenism seriously then our prayer must be that the will of Jesus Christ for his Church, unity for all Christians, will become a reality. When I first came to Caterham I felt that ecumenism had taken a step backwards here. As I’ve already mentioned, we have one church that isn’t a member of Churches Together, as well as two more that only have observer status. But at least there was an attempt to worship together from time to time. Even that seems to have stopped apart from this one week in the year. In my previous parish, in Clapham, we held regular services through the year in each others’ churches. And we didn’t feel a need to put together a special service with the lowest common denominator, so nobody was offended. We had Methodist worship when we went to the Methodists, Catholic worship at the Roman Catholic church, Anglican worship when we were at the Anglicans, and so on. It was very enriching. And we had regular ecumenical social events. And a widely supported open air service of witness on Good Friday in the shopping street. There was a huge sense of unity, of sharing together in the work of the gospel in obedience to the Word of God. I’d love to see that kind of fellowship together in Caterham. Which brings me to my last noun – Week. Every year we have the Week of Prayer for Christian Unity – and the temptation is to think that once it’s over, we can put Unity away until next year. Surely prayer for unity must be something we take seriously all year round. And during this Week I pray as I pray every year that we will begin to take our prayer seriously, our prayer that though God’s grace we may begin to see the Unity of Christians in this place and across our land. Now, I said earlier that the phrase ‘The Week of Prayer for Christian Unity’ wasn’t a proper sentence, because it doesn’t have a verb. My children all learned at school that a verb is ‘doing’ word. And that, for me, is what is so glaringly omitted. We need to put in that ‘doing’ word. We need to see the achievement of Christian Unity as something that needs action on our part. What are we, whichever church community we are part of, whatever our beliefs about the church or the Bible or evangelism or social action, what are we going to do to bring about the unity of all who profess Jesus as Lord – to bring about that which Jesus desired and prayed for. Because we can pray all we will but if we wait for someone else to do something God will find it difficult to work with us. Let’s make sure that there is some ‘doing’ in our prayer for unity and as a response to our prayer for unity. I said earlier of my home church that it was a community that believed that sometimes you had to be part of the answer to your prayer. Jesus said, as we heard in our gospel reading: if two of you agree on earth about any request you have to make, that request will be granted by my heavenly Father. For where two or three meet together in my name, I am among them. May we all be prepared to be an answer to our prayers for unity, and as we pray for unity may we know that Jesus is among us, and may the people of Caterham see Jesus in their midst. What greater witness can we have than Jesus dwelling among us as we witness together in his name.